The QV ‘Potenziata’ was the top of the line model introduced in 1989 in the Alfa Romeo 75 range, which was designed by head of Alfa Romeo Centro Stile Ermanno Cressoni, and powered by the very famous Guiseppe Busso designed 3.0lt V6 engine. 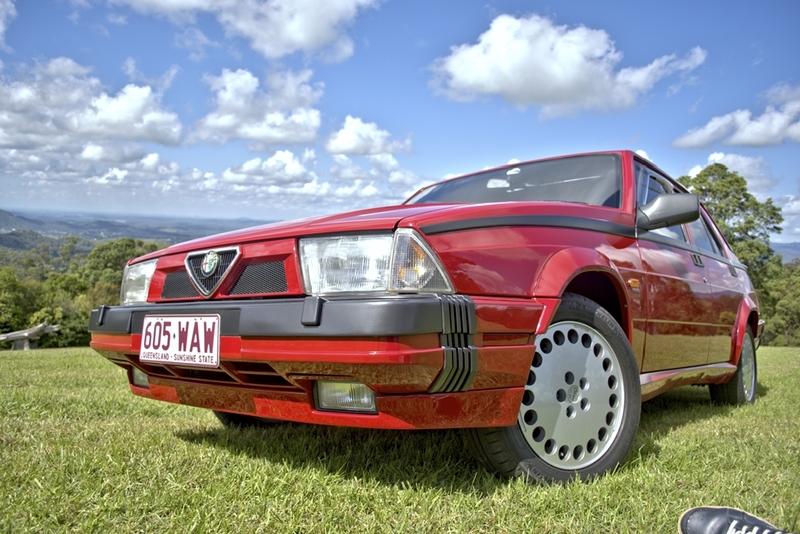 There were around 40-50 QV Potenziata spec vehicles imported to Australia of which approximately 10-12 remain on the road. The limited number of Right Hand Drive versions produced worldwide contributes to their desirability these days as a classic collectable. This particular car is very special. It is one of the few 75 QV Potenziatas remaining that is completely original. 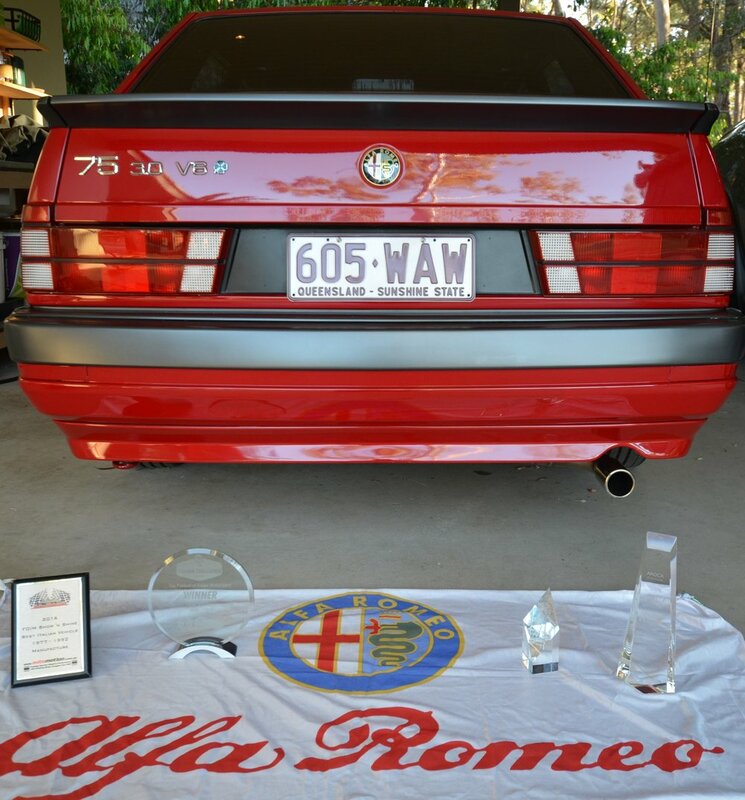 It was sold in 1990 by Brian Foley Alfa in Penshurst Sydney to a Medical Practitioner who drove it for 25 years, running up only 95000 kilometres during that time. The car was fastidiously maintained during that time and garaged all its life, with all receipts kept. The current owner has further restored this Potenziata to Concours winning level. It has original log books, matching original chassis and engine numbers, and genuine log booked 113214kms. This particular car is very special; it is one of the few 75 QV Potenziatas remaining that is completely original. 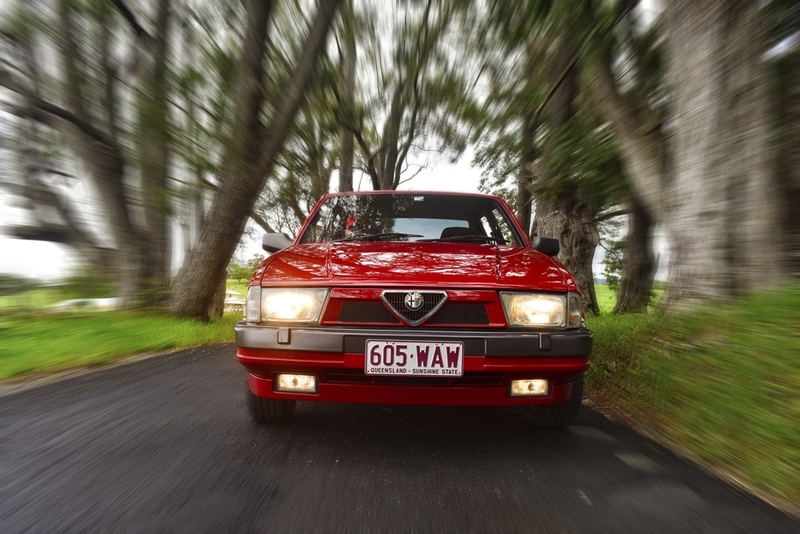 It was sold in 1990 by Brian Foley Alfa in Penshurst Sydney to a Medical Practitioner who drove it for 25 years, running up only 95 thousand kilometres during that time. The car was fastidiously maintained during that time and garaged all its life, with all receipts kept. It was purchased in 2015 by a well-known Brisbane Alfista, and subsequently bought by the present owner, Peter Mathews in 2016, who has enhanced its pristine condition.